I have a gig! Please come! What Time: 9:00pm – whenever! Shinagawa is really close to the Miidera station on the Keihan line in Otsu! If you ride the Keihan, please exit at Miidera station! -People coming from Zeze: you’ll see Shinagawa after you exit Miidera Station. -People coming from Ojiyama: after you exit Miidera station, cross over the tracks to your left, and then take a soft left. You’ll see Shinagawa on the right. Please look at the map for help! Also, Shinagawa is a little small, so it might be a good idea to get there a little early. I was born and raised in East Lansing, Michigan, USA, and began to play the guitar at around the age of 12. I developed an interest in the Japanese language and culture while attending Purdue University in West Lafayette, Indiana. After attending an intense Japanese language and culture program in Hakodate, Hokkaido in the summer of 2005, I applied and was accepted into the JET Program. 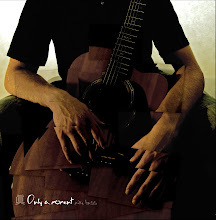 Prior to living in Japan, though, I self-produced my first studio album, titled ONLY A MOMENT, in which I tried to blend my music across many genres, and included Japanese lyrics on some of the tracks. I lived and worked in Otsu City, Shiga Prefecture, Japan for three years as an Assistant Language Teacher (ALT) for the JET Program, and have since then started my own business for producing music, Mike Bass Music LLC. My most current project is called THE MOON THROUGH MY WINDOW, an enhanced CD with worksheets and music geared toward the enrichment of learning English as a second language.